The winter solstice has come and gone. When I look out the window I don’t really recognize it as winter yet, even in Minnesota. Truthfully, I’m not complaining, but I realize that it’s only a matter of time before winter is in full swing around here. Yoga is a great way to stay nice and toasty inside, especially when those temperatures go subzero. If you haven’t ever experienced that temperature, consider yourself lucky! 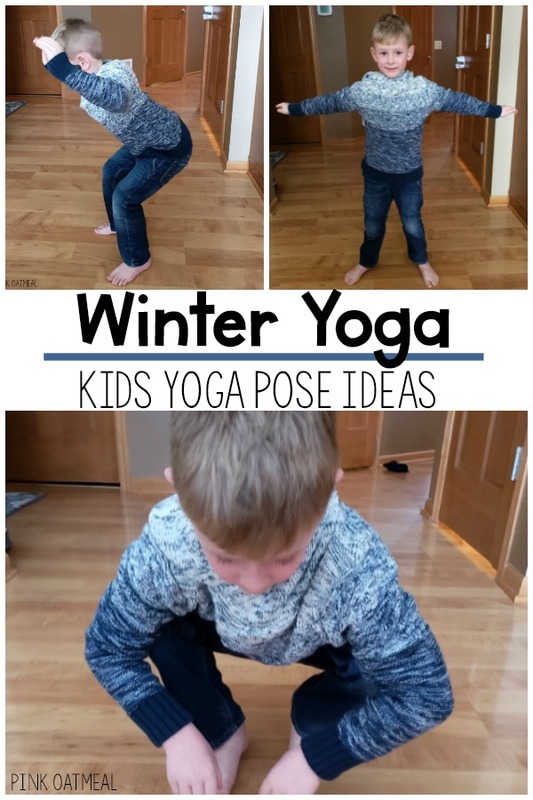 A winter theme can easily be integrated into yoga poses making it even more fun. My winter themed yoga consists of poses for the season and poses for the holidays that occur during the winter! A winter theme can add a little extra fun to yoga. 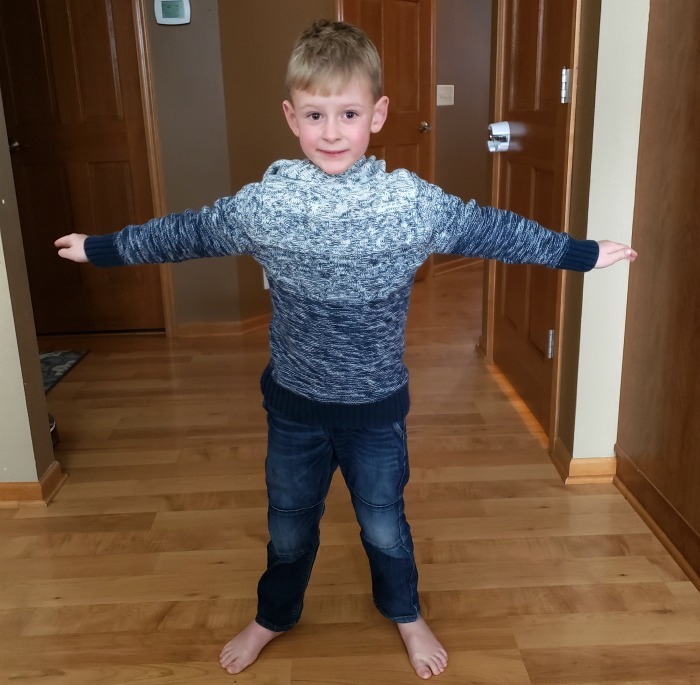 Winter is one of the best times to incorporate yoga and get those wiggles out! If you love these pose ideas you can get ready made cards with full instructions in the shop. 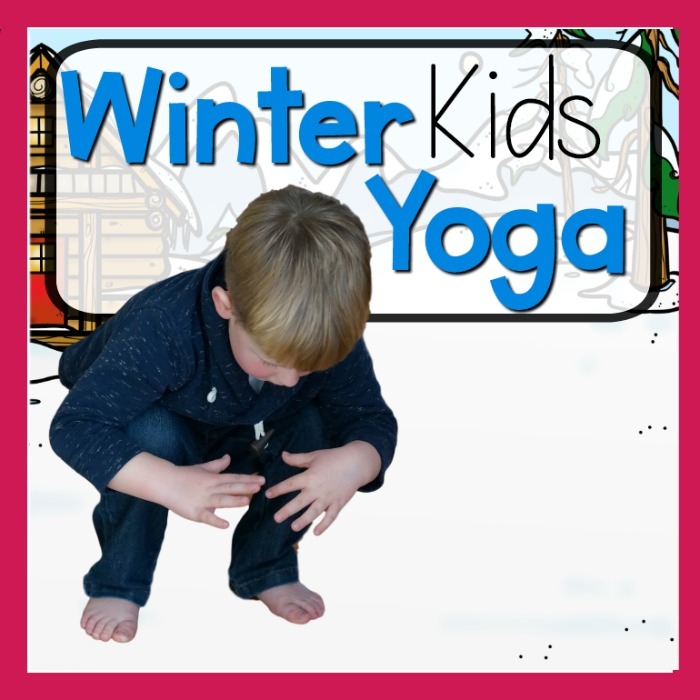 Don’t miss out on your chance to get the FREE winter yoga story from the FREEBIE library using these poses! Downward Dog – Wag your tail in the snow! Dancer Pose – Imagine gliding across the ice! Chair Pose – Move your hips side to side like you are skiing! Staff pose or Seated Forward Fold Pose – Imagine you are flying in a sleigh! Stand with your feet wide apart. Reach your hands out to the side as far apart as you can. Remember to keep your body nice and tall. Spin and twist like a falling snowflake! Happy Baby Pose – Roll side to side like a snowball! 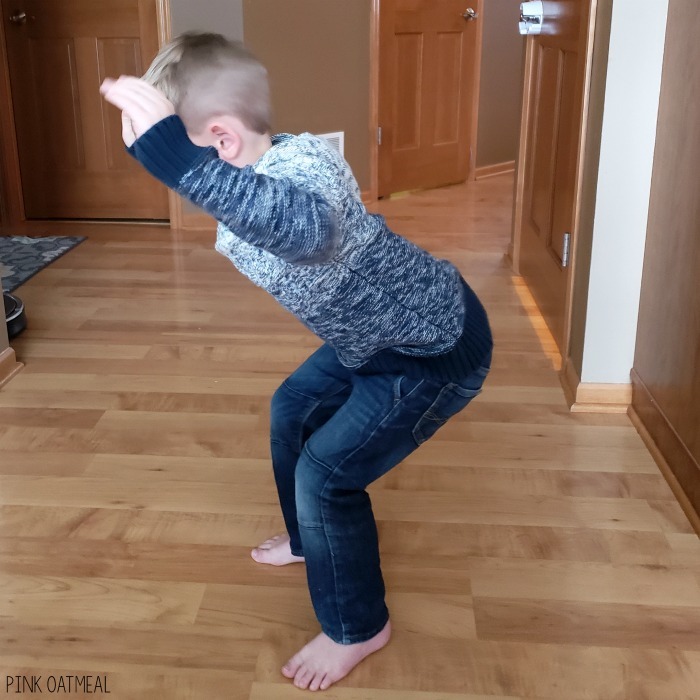 Tree Pose – Shake off the snow! Squat down to the floor. While holding this position work on rolling your snowball to make your snowman. Stack your snowballs on top of each other to make your snowman Be sure to breathe! 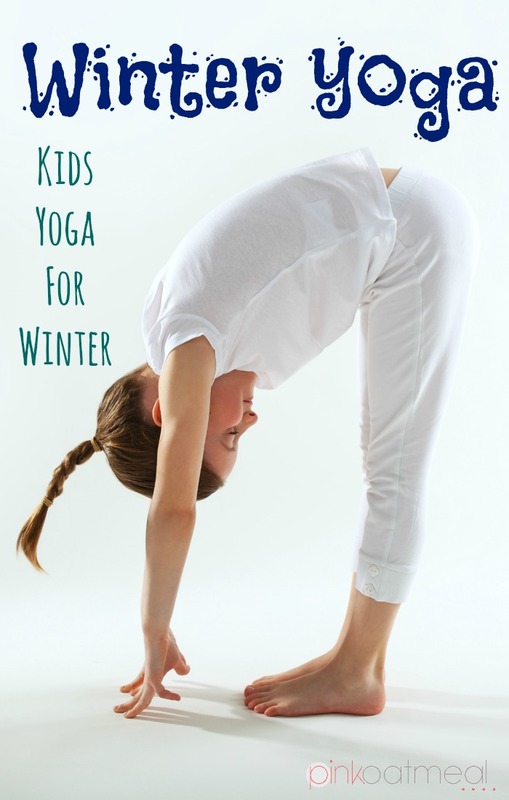 Love the idea of winter themed yoga, but don’t have the time to get it organized? 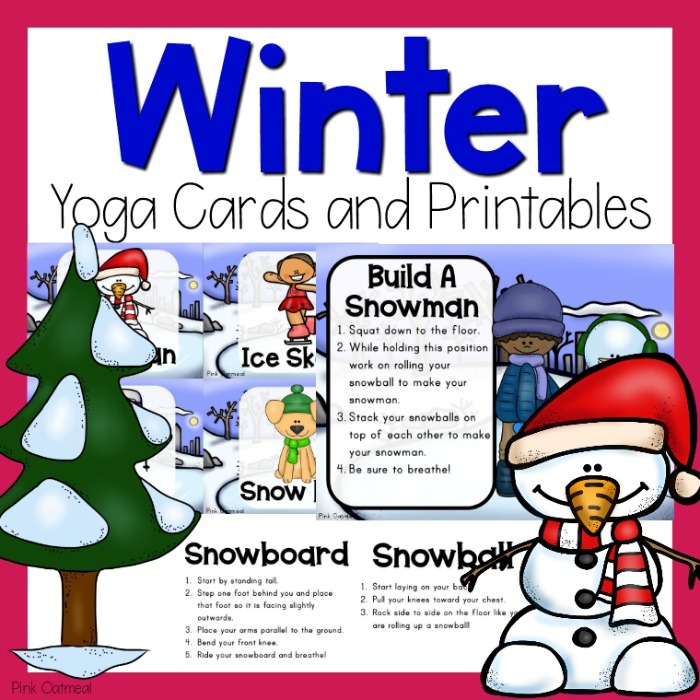 Pink Oatmeal has winter themed yoga cards available in the shop . They are perfect to carry with you if you travel, to have as a free play option, or for brain breaks. They work great to incorporate with lessons or units! There are not only cards but full sheet printables to go with the cards. There are three versions available. All have the SAME poses, but the yoga has a different presentation. This gives you the option to choose what set would work best for your setting, or better yet, grab both! 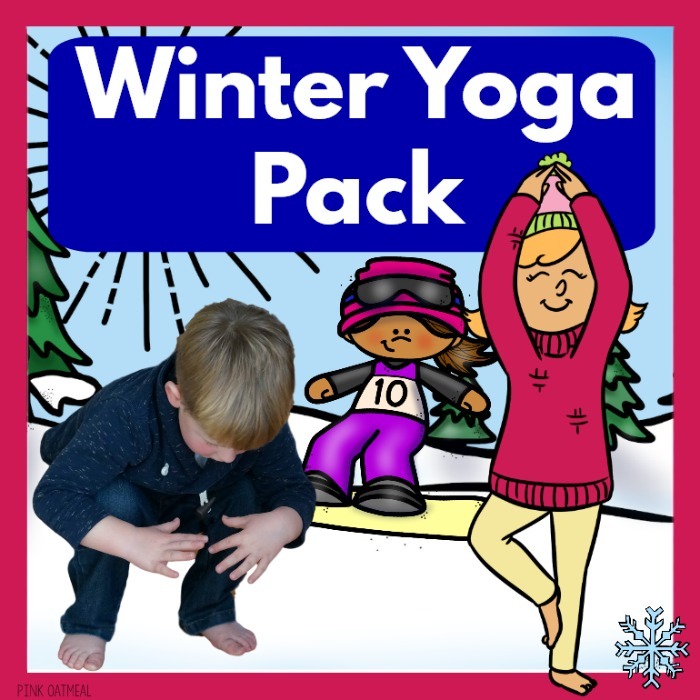 Get all of the different versions of Pink Oatmeal’s Winter Yoga in a pack. This pack is by far the best value and contains a BONUS winter story book. Don’t miss out on your chance to get the winter yoga pack. 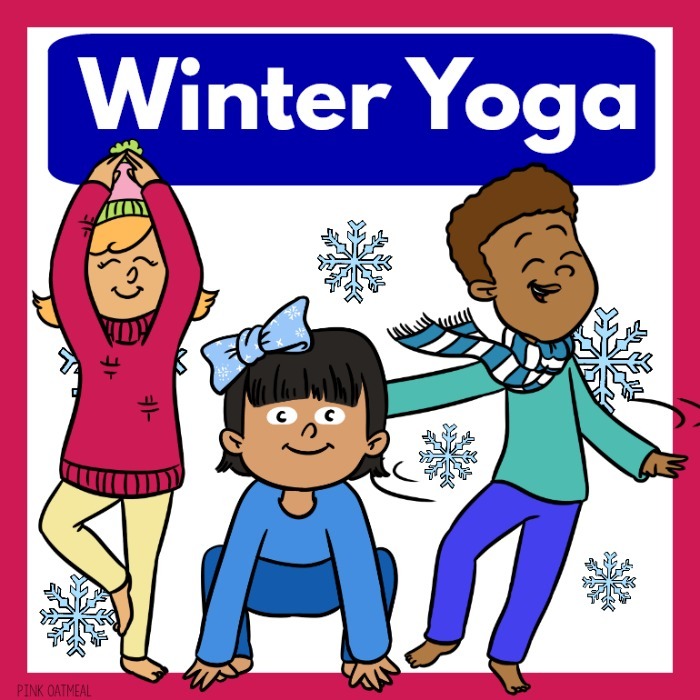 Get your favorite winter yoga poses with multi-cultural clip art kids included. Print this set front to back and enjoy your full sheet printables when you purchase this version of Winter yoga! This set has the same poses, but pictures of REAL kids in the poses instead of clip art! Click on the links to check out the full product! These are great ideas, thank you for sharing! I wouldn’t have thought of the snowball or snowflake!